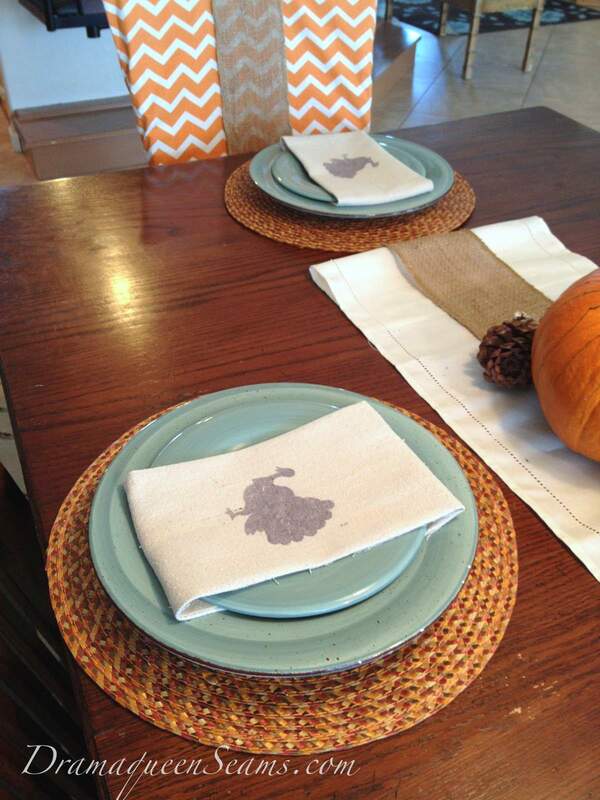 Painted Turkey napkins are a part of my #turkeytablescapes for my Thanksgiving table display and I’m so excited to share a quick & easy DIY project with you today. You will need to wash and dry your fabric before starting this project. I cut 6 12×12 squares out of my fabric and set them aside. Printed out 6 copies of my turkey on plain paper. I made multiple copies so I could paint all the turkeys at once. I used my hair dryer to speed up the drying process. 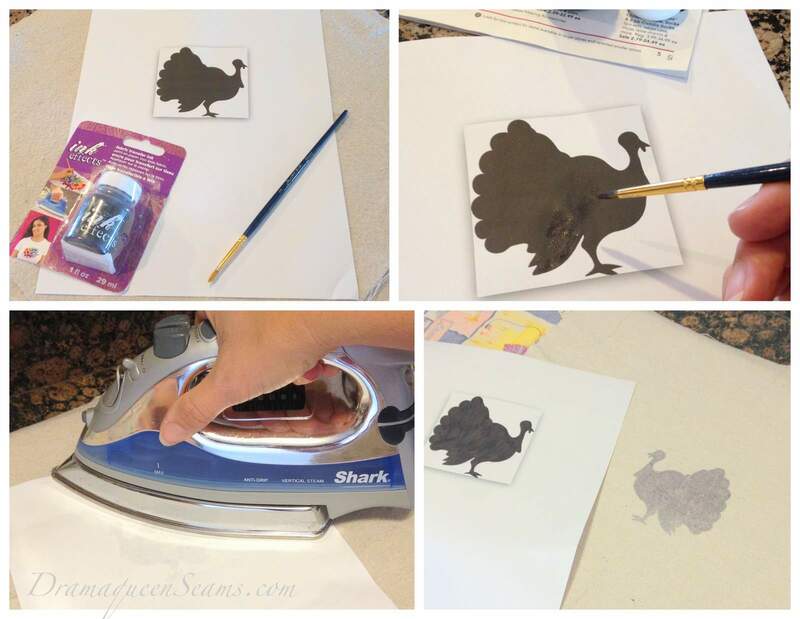 Once the paint was dry I placed my painted turkey picture face down on top of my napkin and pressed it with a hot iron for 30 seconds or so. Removed the paper and done! 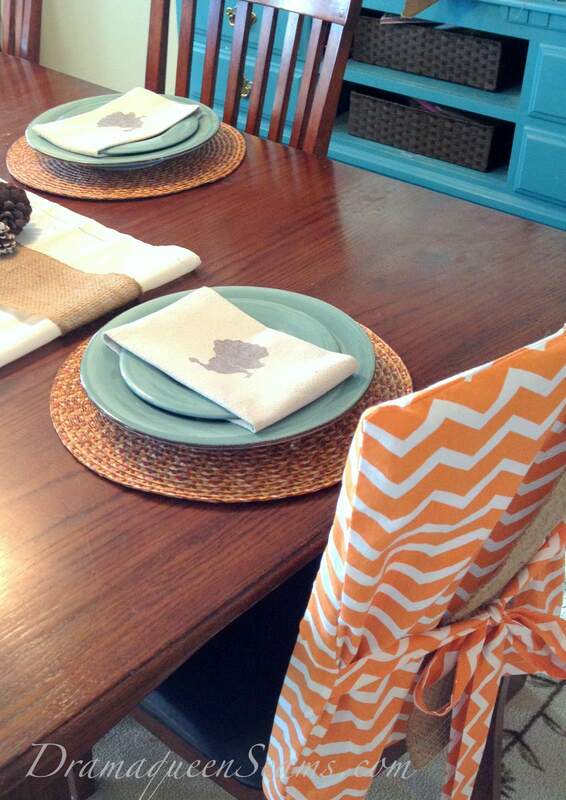 I didn’t even need to finish off the edges of the napkins for this project. 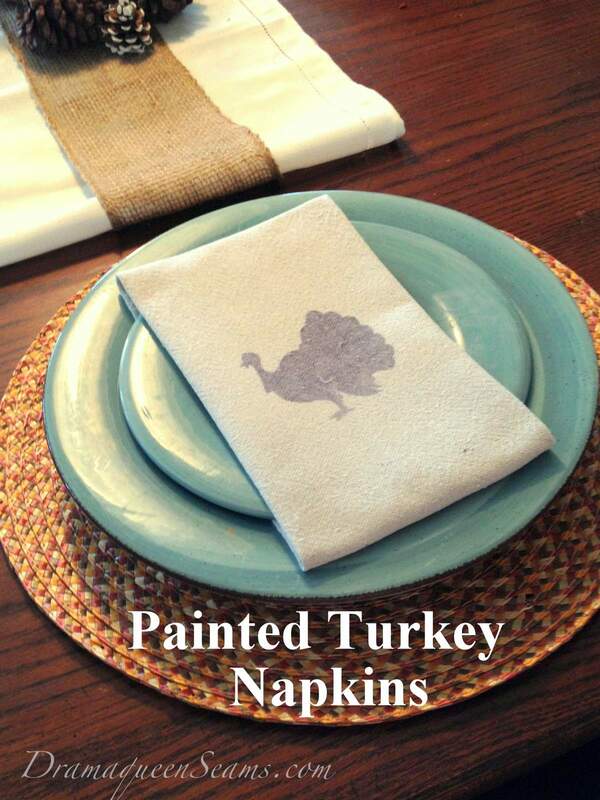 You certainly could finish off the edges of your napkins if you wanted a less rustic look. All of my supplies for this project were from Jo-Ann Fabric and Craft store except for my iron and the clip art I found online. I appreciate all your visits and comments! 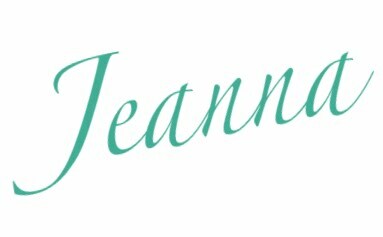 Come follow me on Instagram , Facebook and Pinterest ! This post is part of the Jo-Ann Fabric and Craft Stores Celebrate the Season campaign. I received compensation in craft supplies for this project and post; however, this is my personal opinion based on my experience. All products used were of my personal choice. such a beautiful idea, and they look amazing!! I really like whhat you’ve acquired here, really like what you’re saying and the way in which you say it. I cant wait to read far more from you. This iss really a tremendous site.